He received a football scholarship to Oregon State University where his emphasis was accounting. He earned his Bachelor of Science Degree in Accounting at CSU Fresno. 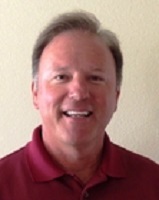 John’s qualifications include a multitude of education and experience, including licenses from the State of California Board of Accountancy, International Board for Certified Financial Planners, Investment Advisor Representative, State of California Real Estate Broker, State of California Life & Health Insurance. John is one of approximately 5,000 CPA’s nationwide who have received the PFS (Personal Finance Specialist) designation from the American Institute of Certified Public Accountants. John and his wife, Denise, have 5 adult children and 10 grandchildren. All of the families live in the Fresno/Clovis area and are involved in various church and charity activities. John and Denise enjoy spending time with their family and the many blessings of their grandchildren.